So how careful must you be with these seemingly harmless products around your little one? In September 2014, a 3-year-old from New Zealand was diagnosed with alcohol poisoning after ingesting hand sanitizer. The case sent chills across the country as thousands of parents were reminded of the importance of not leaving their children alone with the substance, usually considered to be pretty safe. The toddler and her sibling were playing with a 375 ml bottle hand sanitizer (containing 70% ethanol) when she reportedly drank almost a quarter cup. The toddler then became dizzy, lethargic, and incoherent and was rushed to the local hospital’s ICU where she was diagnosed with acute ethanol toxicity. According to the Medical Journal of Australia, the three-year-old exhibited a blood alcohol level of 260 mg/dL, which is significantly higher than the 50 mg/dL threshold for intoxication in New Zealand. She also suffered from associated hypotension and elevated sodium and chlorine levels in her blood. After a few hours of being given fluids and medicine, the toddler’s condition began to improve and she was discharged 24 hours after the incident. 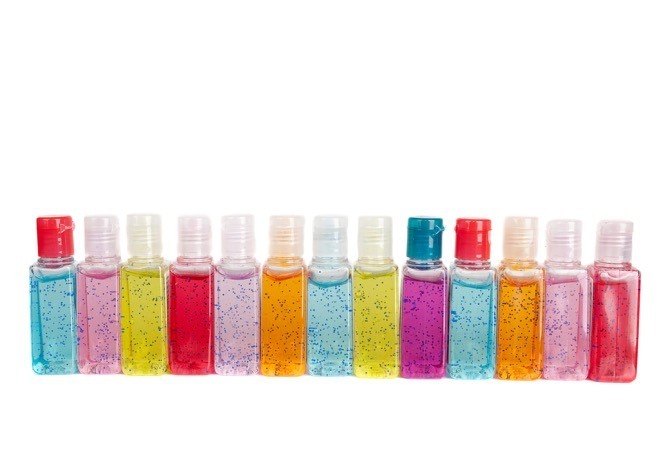 According to the Upstate New York Poison Center, any child who ingests more than a casual lick of hand sanitizer is at risk for alcohol poisoning. This is because the main active ingredient in these products is usually ethanol, alongwith water, fragrance, or glycerin. To completely kill germs and bacteria, hand sanitizer must have at least 60% of alcohol in it, which is higher than the alcohol content of even the hardest liquors in the market. Most alcohol based hand sanitisers in our markets have around 90% alcohol content. So, for a toddler, even consuming an ounce (29 ml) of the liquid could be dangerous. For infants, even a smaller amount could be fatal. The high alcohol in hand sanitizers can give children a burning feeling in their mouths, so they aren’t likely to take another swig of the stuff. But never underestimate what a child can put in his mouth. Never force your child to vomit. Stay calm. A child senses fear from a parent at once. If you have your doctor’s phone number on hand, contact them immediately. How to prevent children from accessing sanitisers? Keep large containers of sanitisers out of reach of children. If possible, only stock small bottles of hand sanitizer as children are less likely to ingest a large amount when there is little available. Teach your child that hand sanitizer is for the hands and never for the mouth. Teach older kids never to play with household chemicals, specially around younger siblings. Adults usually touch a newborn after applying a hand sanitiser assuming that their hands are disinfected. Always allow the sanitiser to dry out for a whole minute before touching the child. During that minute, refrain from touching dirty surfaces. 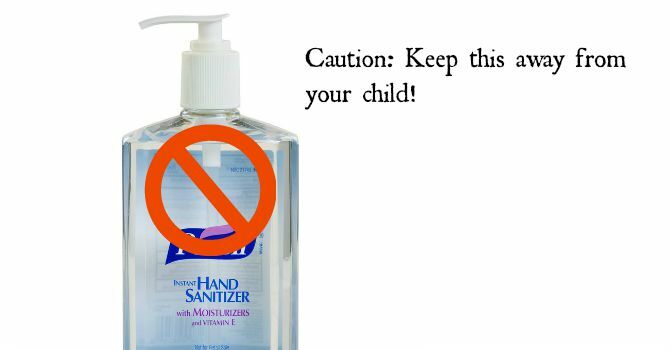 Supervise your child when washing hands or using hand cleanser or hand soap. Even otherwise, keep away any household chemicals away from children. Did your child ever have a lick of the hand sanitiser? Please share in the Comment box below.